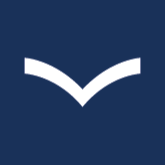 Although ranks in the RAF will have the same NATO (North Atlantic Treaty Organisation) code as their counterparts in the other armed forces (OF#(Officers))/(OR#(Other Ranks)), in many cases, Royal Air Force ranks will be the junior of the three services, with the Royal Navy having seniority over the Army and the Royal Air Force. Senior Enlisted Advisor to the Chiefs of Staff Committee (SEAC) is the most senior member of the other ranks of the British Armed Forces. The role of the SEAC is to advise the Chiefs of Staff Committee, contribute to policy and decision making, and "bring the perspective of the Warrant Officers, Non-Commissioned Officers and Junior Ranks". The first SEAC took up the appointment on 1 November 2018. Whilst held by an Army WO, it is a tai-service position. Regular appointments to Admiral of the Fleet ended in 1995. In 2004, the rank of Warrant Officer Class 2 was introduced. 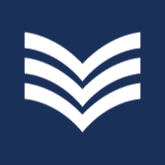 However, the rank was phased out in April 2014, although existing holders of the rank were permitted to retain it until they were either promoted or left the service. ​Since a ship can only have one Captain, if any OF3 ranked Army or Marine Captains, or non-commanding OF6 ranked Navy Captains, were embarked on a ship they were always given a temporary, name-only, promotion of one rank for the duration of the voyage (Army & Marines officers were temporary Majors, while the Navy Officers were temporary Commodores). Since the rank carried no additional authority, responsibilities, or duties, it's not an 'Acting' or 'brevet' rank, simply a means of avoiding confusion onboard a ship. Naval Chaplins do not have a rank - they assume the rank of the person they're talking to. The Royal Marines rank alongside their army equivalents. 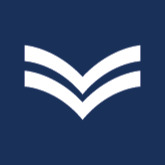 Most Warrant Officers have an appointment, and they are usually referred to by their appointment rather than by their rank. 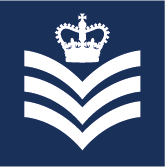 Promotion to the rank of Junior Technician ceased in 2005, only to be replaced by Senior Aircraftman (Technician) a short time later.